Deserves a design award! This Pot au Feu deserves a good design award; it is a truly beautiful thing to behold! I make soup often and making it in this Pot au Feu is strangely therapeutic - but then good food should be enjoyable to prepare as well as to eat. I'm sure that's why I look forward to cooking more! 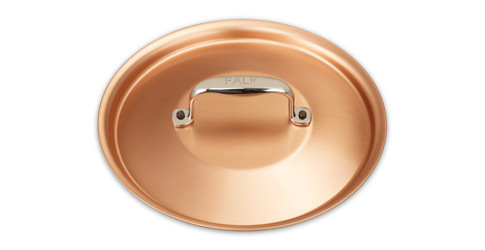 perfect lid Not to be missed when you hold a 18cm copper pan! 910 customers found this review helpful. Did you? Yes, I did! Handle so I never have to oil the handle. Very beautiful and good fitting lid. The sugar pan and the lid complement each other and the result is both professional and stylish.